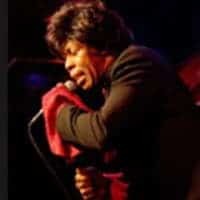 A dynamic, high-energy tribute to James Brown, the Godfather of Soul. This spectacular production is as dazzling tribute to James Brown’s own performances. His shouting vocals, feverish dancing and unique rhythmic style are perfectly duplicated in this incredible production featuring a 10 piece band, and go-go girls. His Tribute to James Brown’s music with such feeling that your audience will talk about this show for years. 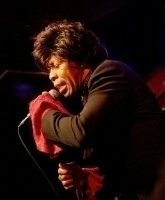 The Soul of James Brown is found in this authentic James Brown Lookalike Impersonator Tribute Artist to the Godfather of Soul. He honors this amazing entertainer in a spectacular production as dazzling and elaborate as James’ own performances. We can also provide the show with a digitally recorded track. The show can also be followed with a full dance set through the decades with multiple vocalists. He honors this amazing entertainer in a spectacular production as dazzling and elaborate as James’ own performances. “Get a Brand New Bag” with this amazing show!